Personalized animals for brothers and sisters. 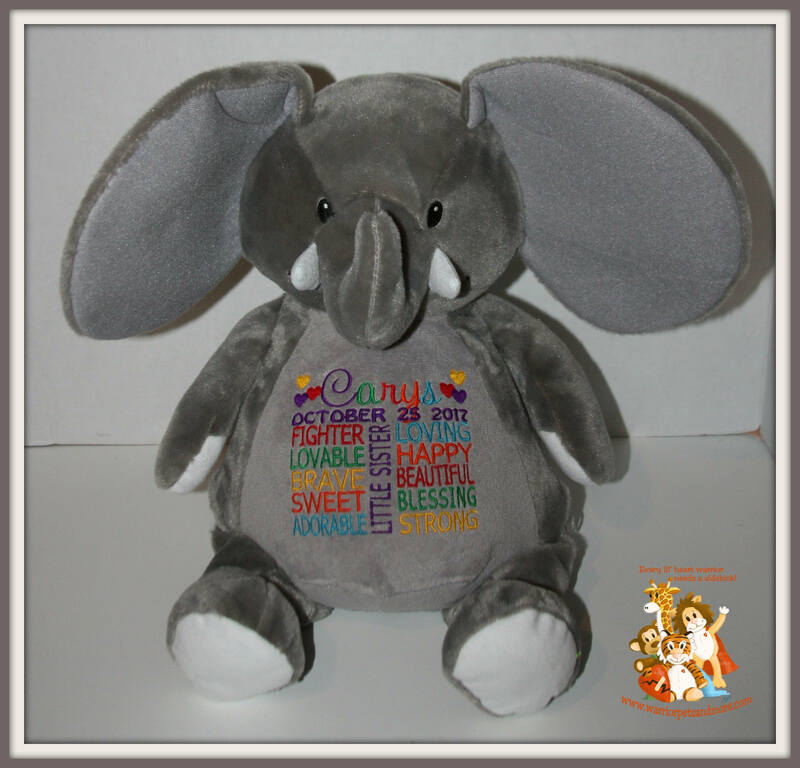 Words can be changed if you would like to customize it for your child. Any animal can be used. Please indicate in the comment box when ordering which animal you would like, child's name and date of birth, color preferences if any.